Toshali, Kalinga Nagari, Ekamra Kanan, Ekamra Kshetra, Nagar Kalinga and Mandira Malini Nagari (City Of Temples) are different names that reflect the rich history of the city Bhubaneshwar. This temple city holds religious as well as economic importance. Together with Konark and Puri, this famous city forms Swarna Tribhuja (Golden Triangle). This holy city is a perfect destination to enjoy heritage as well as modern architecture. Spell bound beauty and warm hospitality can easily make you fall in love with the city. Bhubaneshwar, being the capital of Orrisa, is the most visited destination in east India. Blessed with rich culture, it has witnessed royal era of golden India. The sacred city enjoys the crown of housing magnificent sculpture and architectural heritage. Grand festivals and colourful celebration add some more flavour to your tour to Bhubaneshwar. 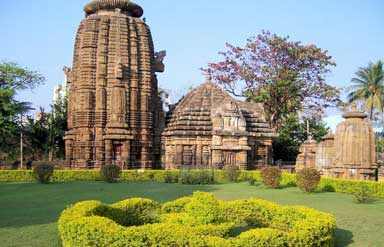 One of the finest example of Hindu Temples, Lingaraj Temple is the prime temple of Bhubaneshwar. Every inch of the temple architecture is beautifully carved. Apart from the religious values, the temple is described as 'The Truest Fusion of Dream and Reality'.Bindu Sarovara is another major attraction. It is believed that this large lake keeps the drop of each and every holy river. The temple city houses around 600 temples. Each temple is a masterpiece and possesses a high value. The most popular names include Mukteshwara Temple, Rajarani Temple and Sri Sri Krishna Balarama Mandir. 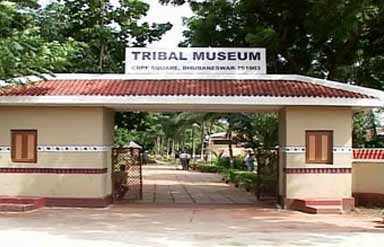 Apart from temples, the city offers you to visit Nandankanan Zoo, Museum of Tribal Art & Artefacts, Odisha State Museum, Dhauli Giri and Khandagiri & Udayagiri. 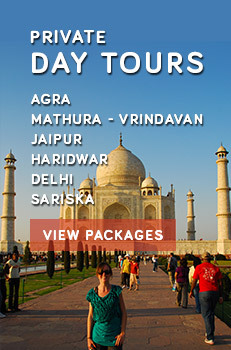 October to March is considered as the best time to visit this sacred city. 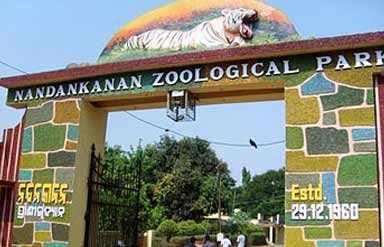 A wide variety of options is available for the tourists visiting Bhubaneshwar. Starting from the budgeted accommodation, splurge hotels are available. One needs to decide as per the requirements and comfort level. By Air: Bhubaneswar airport is connected to all major cities of the country. Frequent service is provided by all major service providers. By Road: Being situated at national highway, the holy city is easily accessible from Kolkata as well as from Chennai that further connect the city with rest of the nation. By Rail: Bhubaneshwar is located on the mainline that connects Kolkata and Chennai making it easily accessible.